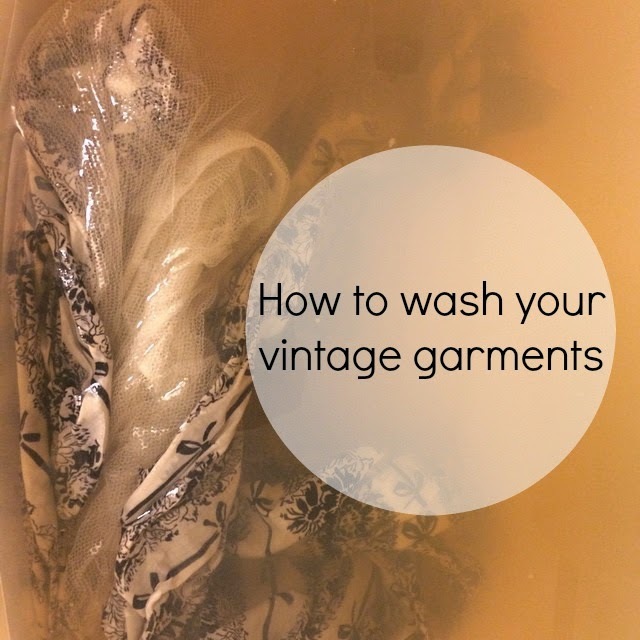 The above photo is a warning to those of you who don't wash their vintage! 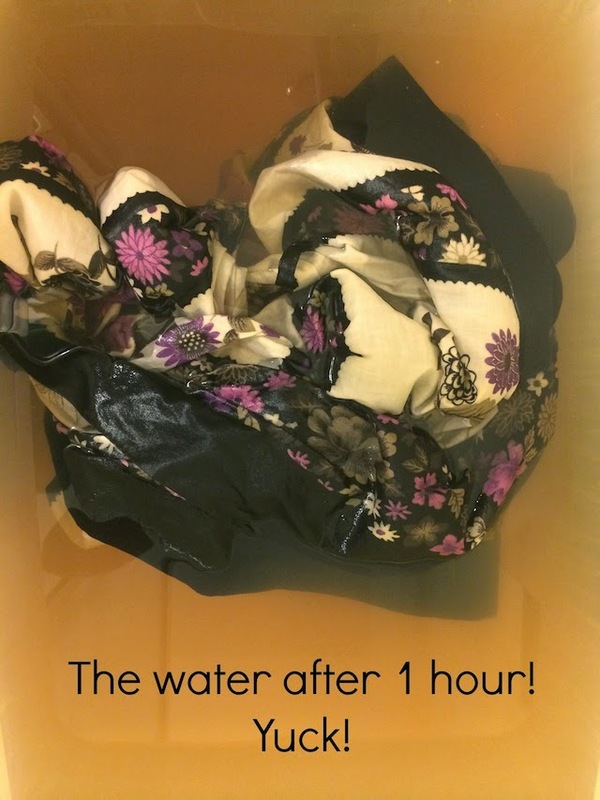 The yucky water is a result of years of dust, dead skin cells and dirt. 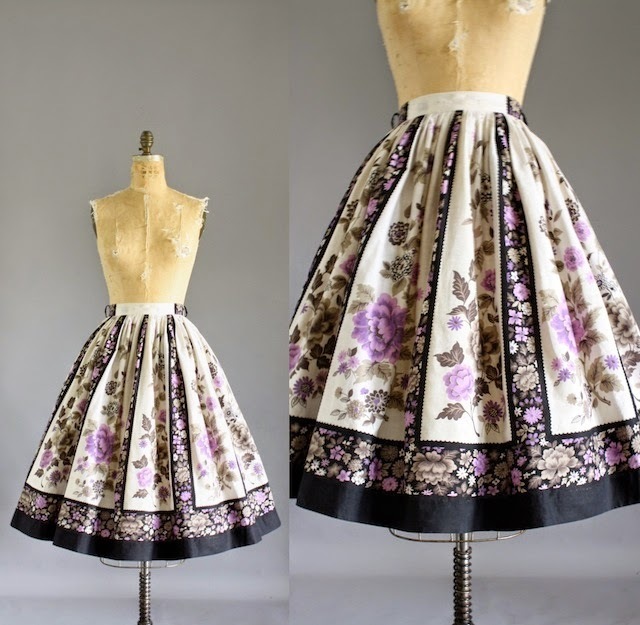 So its literally unsanitary if you wear vintage before washing it. 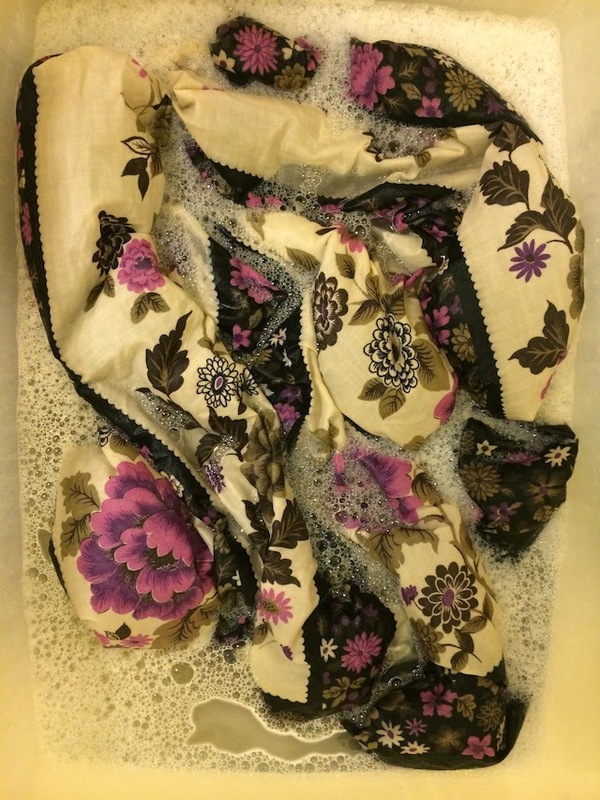 I am by no means a professional when it comes to knowing how to wash old fabrics. I am sure there are many people out there who have different methods and know a lot more. I am just showing you my method, one that has worked for me. 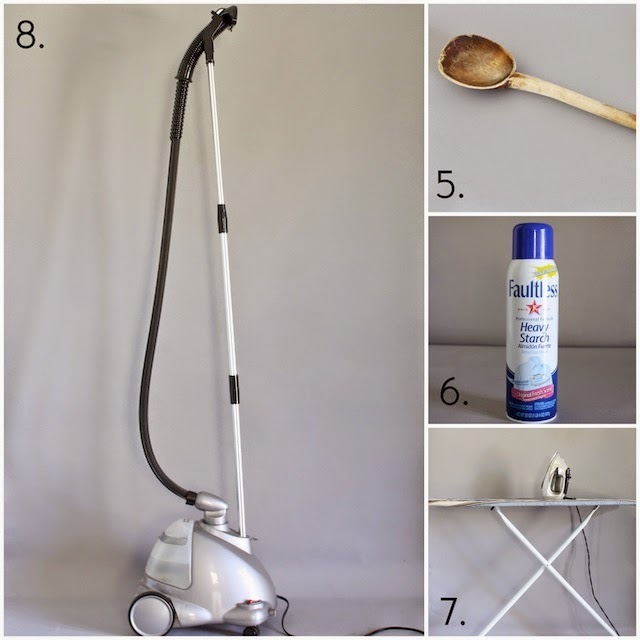 I hope I can help you in making your vintage as clean as possible without risking any damage to it. 1. Large plastic container- others simply wash the item directly in the bath tub. To make it sanitary for both the customer and myself, (no I don't want to bathe in a bath where I soak hundreds of units per year nor do you want your garment washed in a bath tub where I bathe myself) I place the plastic container in the tub and wash the garment inside it. Please don't think I am saying your unsanitary if you wash your vintage directly in your tub, I just personally don't like to. 3. Baking soda- I purchase the large box because I seem to go through the small box too fast. 6. Starch- I prefer Faultless over other brands. Step 1. Prep the item. If it has stains, spray Oxi Clean directly on the spot and use a wet wash cloth to rub it in. If the stain is bad, do the same thing again. Then wait 10 minutes or more depending on the severity of the stain. head to your trusted dry cleaners. Step 2. Place the plastic container in the tub and fill it with warm water. Step 3. 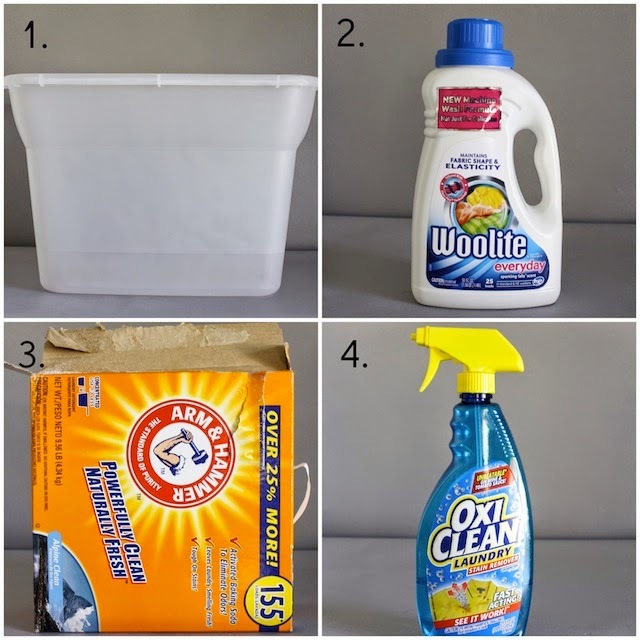 Pour the Woolite in the container (use more or less depending on your load size). Step 4. Pour the baking soda in the container. I use a 1/3 cup scooper in which I usually pour in two scoops (totaling 2/3 cup). I would add more if you have 3 or more pieces your washing at one time and especially if the garment has a foul odor. Baking soda won't hurt the garment, it will just make it smell so much better, so go ahead and pour that stuff on in there! Step 5. Mix the concoction with a wooden spoon until the water has bubbles and until you see that the baking soda and Woolite is mixed in. Step 6. Set the garment inside the container and use the wooden spoon again to swish it around for a few moments. Step 7. Wait 45 minutes if the garment isn't too dirty and doesn't have much of an odor. Wait 1 hour or more if the garment has a foul odor and there is a lot of dirt. Step 8. Ring the dress out and rinse it under fresh running bath water until you know it is rinsed of that yucky water above. Step 10. Once it is dry, now its time to iron. Spray the starch on each area and go over it with your iron (make sure it is on the right setting and is not too hot or you'll ruin the fabric). my stuff and I am sure you do too. again with the iron. It should disappear.